Spring is in full swing, and yard sales – the original pop-up shops – are in bloom as people clean house, students prepare to leave town and homebuyers prepare to downsize, resize or generally rightsize their Westside real estate (with the help of their friendly Point Grey real estate agent, of course). Even if you aren’t moving, yard sales are a good way to meet the neighbours. A few simple tips can help you make one a success. Many thrift shops grapple with tons of waste that would be best sent to landfill. 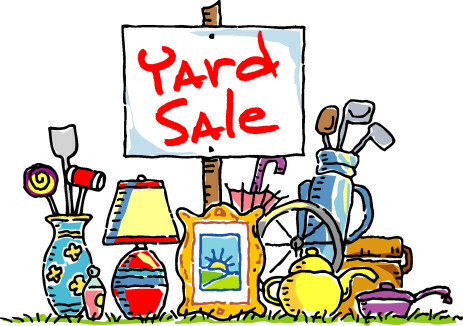 You don’t want your yard sale offering more of the same. While there’s a market for anything at the right price, make sure your items are in good condition and are relevant to the local market. That travel guide from your 1992 trip to Bangalore will sell far less quickly than a good chair, while scarves and boards games have a better chance than kitsch (but there’s a market for kitsch, too). Know what the going price for an item is, and then make people feel like they’re getting a bargain. Thrift stores and yard sales are all about thrill of the hunt, and bargains make discoveries all the sweeter. Asking the market rate may be fine on Craigslist, but if you really want to move your second-hand items, knock 20% off the price. Remember, your main pay-off isn’t the cash – it’s the free space you’re reclaiming from the clutter. Weekend mornings (until early afternoon) are prime time for yard sales. Catch people as they’re relaxing with coffee, coming back from brunch, and generally being sociable. People won’t find your deals if they don’t find you, however. Postering your neighbourhood a couple of days in advance (with brighter signage the day of the event) will help spread the word. Social media and word of mouth also help. Craigslist and neighbourhood bulletin boards are also important ways of telling people what’s happening. Getting together with others can help make your event more of a destination. It might even become an annual event, an activity that not only creates space in your home, but connections in the wider community.